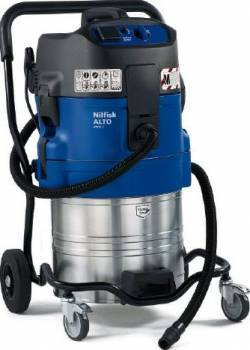 The Nilfisk-Alto Attix 761-2M XC is an M Class hazardous dust health & safety vacuum cleaner / hoover. It is extremely silent yet has superior suction power. The Attix 761-2M is equipped with a power take off for automatic on off for electrical power tools, XtremeClean automatic filter cleaning system, & 70 litre tilt or lift off stainless steel robust container.